The area’s largest ever ball hockey tournament is set to take over the WFCU Centre’s parking lot this spring. 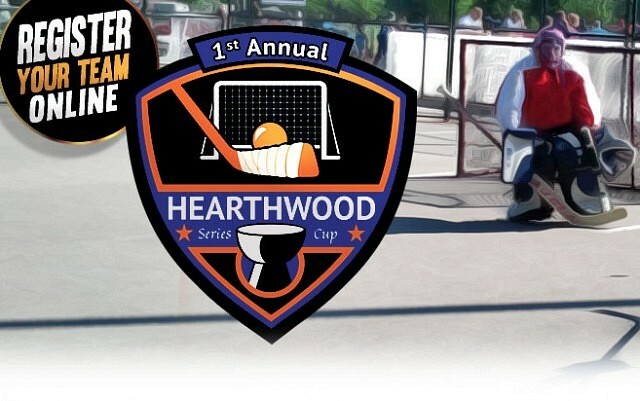 The Hearthwood Series Cup will take place Saturday May 31st and Sunday June 1st outdoors at the WFCU Centre on four street rinks with up to 100 teams competing. The tournament has three divisions – Adult (Ages 17+), Youth (Ages 13-16), Youth (Ages 9-12). All divisions are co-ed. The Ball Hockey Tournament joins the Expo’s already impressive list of highlights including the Hockey Hall of Fame Legends Exhibit and Fanfest, Autograph Sessions, Hands-on Woodworking, NASCAR Tire Change Competitions, Yamaha Powersports Sale, Maximum Fighting Championship, and much more. With over 100,000 square feet of exciting sport and hobby exhibits, the Sport & Hobby Expo is one of the largest exhibitions ever held in Windsor. Tickets for the North American Sport & Hobby Expo are now available at the WFCU Centre Box Office or www.wfcu-centre.com. A limited number of advanced pre-sale tickets are available for only $13/adult and $11/child under 16 for single-day admission. Weekend passes are now available for only $20/person for all three days. Family passes for 2 adults and up to 3 children are available for only $40. Admission at the door is $15/adult and $12/child under 16, per day. Teams interested in participating in the Hearthwood Series Cup can now register online. To register your team now or for most details visit www.sporthobbyexpo.com/hearthwood. Registration includes admission to the Sport & Hobby Expo and a commemorative Hearthwood Series Cup T-Shirt.